Let’s face it San Diego is a stranger to weather. We become spoiled with constant sunshine in our county, and because we don’t often see rain, we tend to underestimate the damage it causes to our homes and local businesses. Understanding the signs and types of water damage caused by heavy rainfall is your first line of defense. Heavy rainfall means restoration companies, roofers, and contractors are inundated with phone calls. What does that mean for your insurance claim process? Depending on how rainwater entered your home, your insurance policy may not cover the water damage caused by the heavy rain. 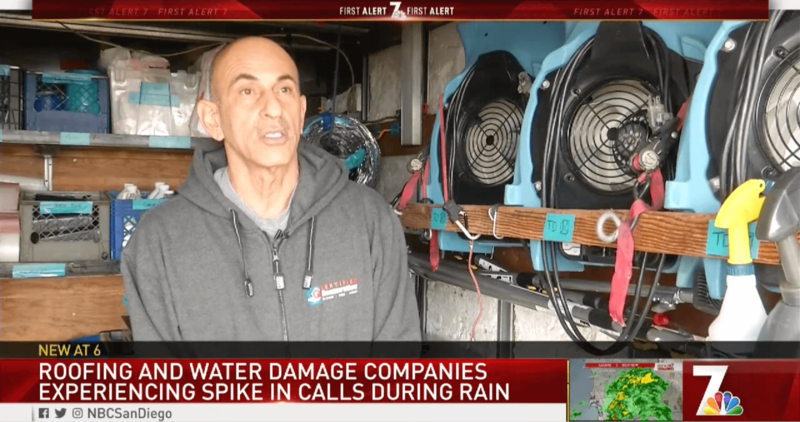 Our very own Michael Fahouris spoke to NBC News regarding the issue homeowners face when they turn to insurance after water damage occurs in their homes. Insurance does NOT typically cover groundwater that has come into your home. As soon as the rain hits the ground, you as the homeowner become responsible for making sure there is proper drainage away from your home in order to protect the property from any water intrusion. Make sure you are prepared for the heavy rain and take preventative measures to protect your home.